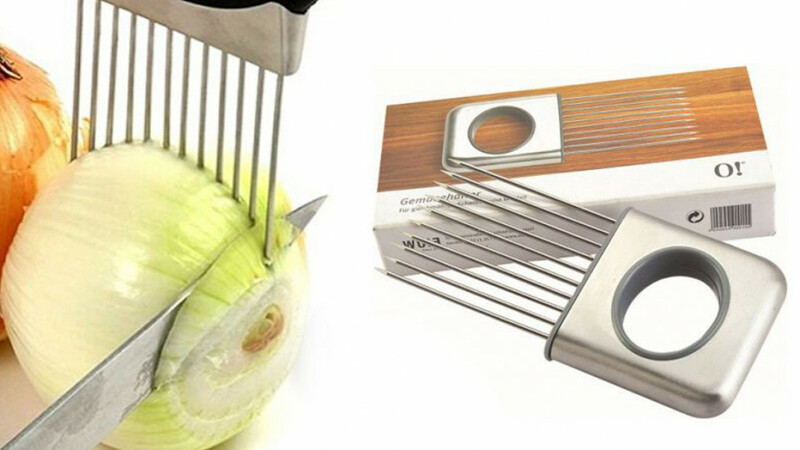 This onion slicer makes slicing onions much easier. If you are someone who cooks with and slices a lot of onions then you will find that this slicer enables you to get the job done much faster and also ensures that your fingers are protected while you are slicing. It hold the onion in place and if you like to slice with precision it also provides a guide so that you can uniformly slice your onion. Allows you to slice the onion without having to touch it with your hands at all.